This Incredible resin art piece was donated to fowler35's fundraiser by Nat Bowen. The piece comes with gold mirror edges and measures 90cm x90cm. "NAT BOWEN is a British, self-taught, resin artist and a fashion design graduate of the London College of Fashion (2008). 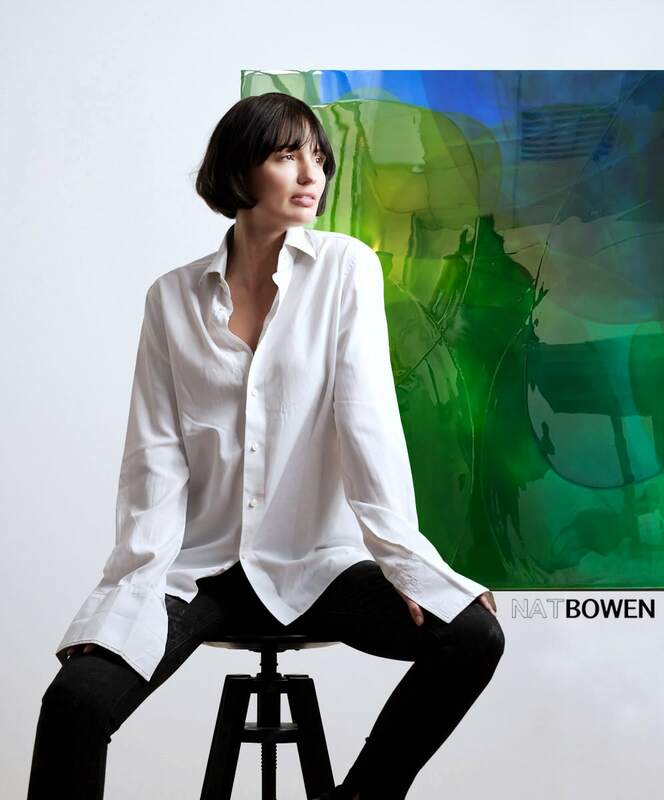 Bowen creates her artwork by pouring pigmented epoxy resin onto recycled acrylic sheeting then paints by hand to form layers of rich, glossy shapes. The high viscosity of the resin gives a thickness that when cured forms a raised lip and produces a three-dimensional element to the work. With the application of each layer, the depth and density of colour is intensified but a softness is maintained by the low opacity of the pigment. 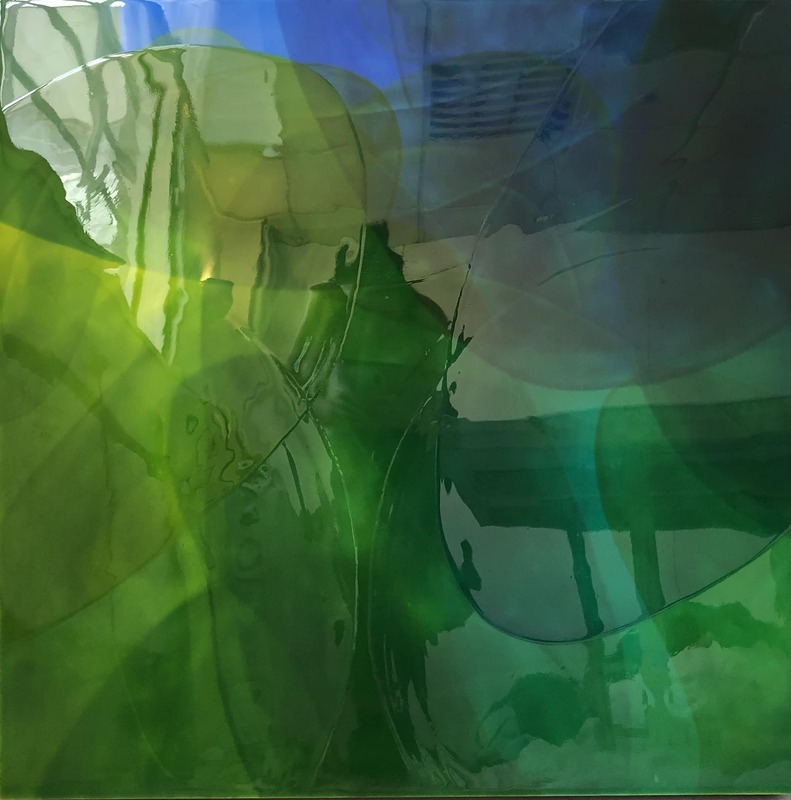 The surface appears in motion as the shifting light ripples across the lustrous resin with the colours adapting to the external environment. In reflecting and absorbing the surrounding environment it becomes a part of the space it inhabits. The glossy pools of resin have an enticing texture and the layers create a vortex feel, much like the experience of looking into water." "We work to provide people with the support and training they need to find lasting paid employment. Our participants and graduates are at the heart of everything we do. Their journey starts with a three-month employment preparation programme in our Grade I listed home and members’ club in Soho. Unlike many training programmes, we continue to offer structured support and mentoring for another year, to help graduates find, keep, and progress in, work. After that, our door is always open for people to pop in and share their successes and challenges with us, and many graduates have recommended friends to join the programme and share the same successes."